With two Certificates in Law, Ms. Riendeau worked for over 30 years in real estate law, in which field she took part in the realization of residential, commercial and industrial real estate projects. She efficiently contributed to the finalization of the contractual transactions for real estate projects in cooperation with promoters, municipal authorities, lawyers, builders and investors. 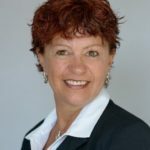 Having developed an expertise in commercial real estate, she then joined the real estate agency Binswanger Myre Pageau in 2013 as a real estate broker in the area of commercial and industrial brokerage. She was responsible for the coordination of the purchase, sale and rental of commercial and industrial buildings and worked closely in the development of the agency’s strategic plans until the Summer of 2015. She is now Vice-President, Agency Director and Chartered Real Estate Broker for the agency she founded with her partner Pierre Lamothe.